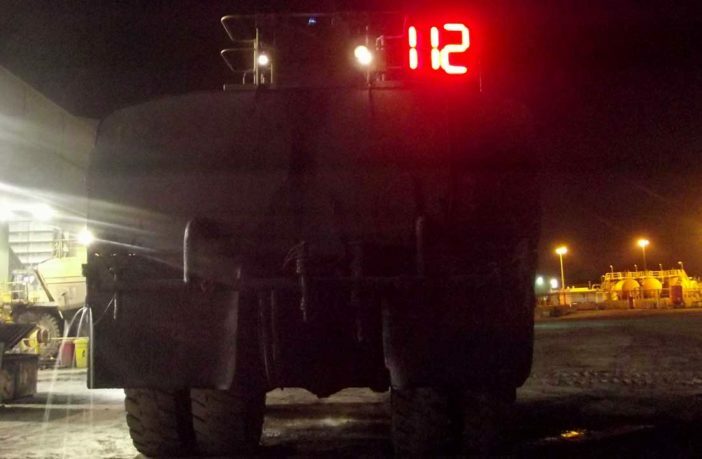 RCT is helping Glencore improve operator safety with clever LED tech for its surface mine water trucks. AusProTec, the company’s LED numbering system, has been introduced to a fleet of seven Caterpillar vehicles at the Hail Creek Coal Mine site in the Bowen Basin, Queensland, Australia. The system has aided site workers in positively identifying of fleet numbers when viewing the water trucks from the rear. “The LED numbering system has been positively received at Hail Creek, with many of our employees noting the lights are effective and very visible at night,” said Glencore Hail Creek operations manager Andrew McDonald. Each of the number plates is 700 x 400mm in size and can be configured to make complete fleet numbers. Number kits (zero to nine) are supplied with a single plate and the correct quantity of red 24V LED strip lamps to make the number, and can be easily attached with the use of standard bolts and Nyloc nuts. “The LED fleet numbers system is easy to assemble and is a low maintenance piece of equipment ideal for identifying individual mobile machines at night from a great distance away,” RCT account manager Wayne Carrington said.